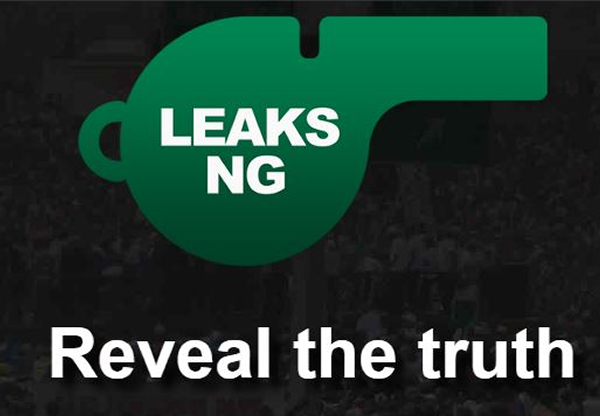 Some “very senior officials” of the Goodluck Jonathan administration mounted intense pressure on the Nigeria Liquefied Natural Gas (NLNG) Limited to pay dividends and its 2014 company income tax and to government coffers just before the 2015 general election, TheCable has learnt. But the then managing director of NLNG, Babs Omotowa, vehemently resisted the pressure and still believes he would have been sacked if Jonathan had been re-elected. The payments were later made after President Muhammadu Buhari assumed office and shared as “bailout funds” to the three tiers of government to clear salary arrears. The pressure to pay the dividends and the tax started in January 2015 — about one month to the initial February 14 date for the presidential election — and was intensified till April just before the elections eventually held. Subsequent revelations have shown how the office of the national security adviser requested for and got $2.1 billion from the Nigerian National Petroleum Corporation (NNPC) around the same time. A substantial chunk of the payments has now been traced to the financing of the elections. Omotowa, now vice president of Shell Upstream at The Hague, told the story of the pressure he came under in an interview for a book on the history of the NLNG currently in the works. “My response when I was first asked in January 2015 was clear: we could not be in a position to (pay) and I was thus subsequently invited to Abuja on a number of occasions to meet with key officials in an effort to persuade me to pay the money,” Omotowa told his interviewers. “I maintained same position through those discussions based on two perspectives: One, we could not make any payments from accounts that had not been audited by external auditors and approved by the board. Two, by legislation, we had till June, so why the pressure. “This position was not viewed positively by the government officials. So, it was escalated and higher level government officials (ministerial) subsequently spoke with me on it. I explained and reaffirmed that we were not in a position to pay earlier than June, for those same two perspectives. The NNPC holds 49% of NLNG’s shares on behalf of the federal government. NLNG’s deputy managing directors are seconded from the NNPC. Thus, on the board, NNPC is represented by the NLNG DMD. “Immediately after that board meeting, the pressure from the senior government officials intensified since that was one of the reasons I had indicated for not making the payment earlier,” he said. “But I reminded them of the second reason which was that by law, payment was with a June deadline, and as such I maintained we still had to wait until June before payment as provided for in the (CIT Act). NLNG’s MDs are seconded from Shell Gas B.V, which owns 25.6% of NLNG’s shares. Total LNG Nigeria Limited owns 15% and Eni International (N.A.) N.V.S.a.r.l owns the remaining 10.4%. In May 2015, Buhari became Nigeria’s president. In June 2015, which was when Omotowa had promised to pay, he did. Previously, NLNG’s dividends had been paid to NNPC while the company import tax, which the company only started paying in 2013 after its 10-year tax holiday lapsed, had been paid to the FIRS federation account. In 2014, NLNG had paid $1.4 billion to NNPC, $1.8 billion to the federation account for feedgas purchase and $1.4 billion to FIRS as company income tax. According to Waziri Adio, executive secretary of the Nigerian Extractive Industries Transparency Initiative (NEITI), “although the NNPC acknowledged remittances from the NLNG to the tune of $13 billion in the last eight years, NNPC never remitted same to the federation account”. If Omotowa had succumbed to the pressure and made the $2.1 billion payment before June 2015, there are fears the money would have been mismanaged. “Paying the money contrary to the law and during election period would have been wrong,” Omotowa maintained. “It would have then been used for electioneering purposes. I was prepared to walk away from the job, if need be and I suspect I may have been relieved of my job if the administration had won the election. Officials of the Jonathan administration later said the NLNG dividends were left for the Buhari administration, contrary to claims the new government met an empty treasury. Brave man! Kudos to you for your strength of character. May we all be brave men and women in our respective domains! It is good to read this about a Nigeria n who resisted the pressure from corrupt government officials. We look forward to more of such in the days ahead! Kudos to Omotowa and his team! We are proud of your heritage as a son of Gbedde land and for being the son of your father: Omotowa and above all; standing for the Truth in bravery as a Christian.